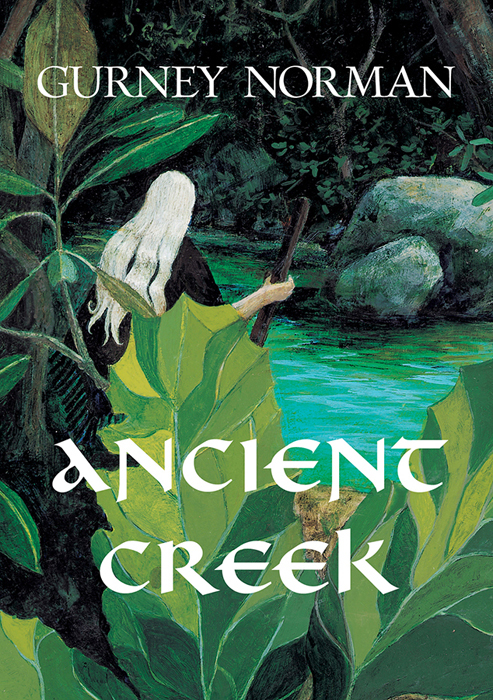 Old Cove is pleased to announce the publication of Ancient Creek: A Folktale by Gurney Norman. Norman’s folktale tells the story of resistance among “the folks” in a mythical “hill domain” ruled by an absurd but evil King. The folktale hero Jack is the fugitive leader of the people’s revolt. Told in mock-heroic language, the story employs satire, comic irony, regional speech and “the voice of a storyteller” as it moves toward its hopeful conclusion. Wounded survivors of the revolution find solace and healing on Ancient Creek where old Aunt Haze is the guiding spirit. The book features cover art by eastern Kentucky artist Pam Oldfield Meade, and includes four essays about the story by Italian scholar Annalucia Accardo, writer Dee Davis, professor Kevin I. Eyster and the late poet and scholar Jim Wayne Miller. Ancient Creek was first published in 1976 as a spoken-word album by June Appal Recordings, a division of Appalshop. The original recording has been newly released as a CD by June Appal.